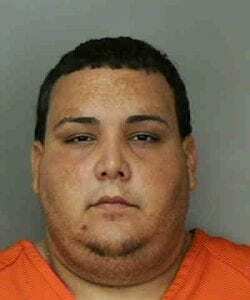 A trail of heroin crumbs led deputies to the closet where Gleen Efrain Zayas-Acosta was hiding. Deputies found 35-year-old Zayas-Acosta behind hanging clothes near a hamper where he’d hidden about a kilo of heroin. A prosecutor with the State Attorney’s Office laid out all the evidence before the jury in closing statements Thursday, re-enacting the way Zayas-Acosta would have had to run through the Davenport home with the drugs clutched to his chest. The jury deliberated for less than 30 minutes and found Zayas-Acosta guilty of trafficking heroin, resisting officers without violence and possession of drug paraphernalia. 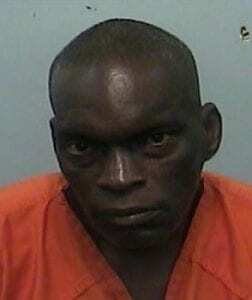 A Polk County Sheriff’s Office deputy saw Zayas-Acosta peek through the blinds in a front room of the house. Zayas-Acosta then grabbed a chunk of the heroin and ran to the master bedroom near the back of the house. Deputies obtained a search warrant for the house Zayas-Acosta was staying at after a K-9 alerted to drugs in a package addressed to the Davenport house. They found over a kilo of heroin – which is worth $100,000 on the street – a plate, scale and knife used to weigh and cut the drugs and $32,500 in cash. This chunk of heroin, weighing 860 grams, was found in the hamper and was entered into evidence by the state. 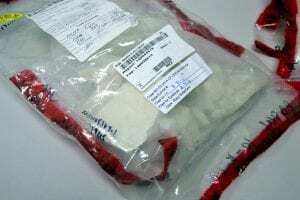 The total weight of heroin confiscated by law enforcement is 1,031 grams, which is worth $100,000 when sold on the street. Law enforcement also found Zayas-Acosta’s social security card, driver’s license and birth certificate in the room where the drugs were located, and he admitted it was the same room he’d been sleeping in. The defense claimed that Zayas-Acosta’s proximity to the drugs wasn’t significant enough to link him to them, but the prosecutor reminded the jury that the only places in the house where heroin was found were in the rooms where the defendant was. It may have been in another person’s home, the prosecutor said, but the evidence was in his bedroom. Chief Assistant State Attorney Brian Haas said he was pleased with the jury’s verdict, especially since heroin is a serious issue facing the community. 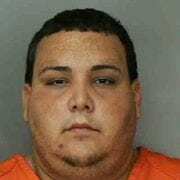 Zayas-Acosta faces up to 30 years on the heroin charge and will be sentenced Oct. 13 by Judge Yancey. 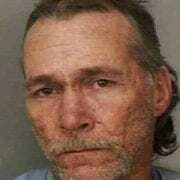 When Perry Lee Chance walked into the Winter Haven clothing store where 82-year-old Carol Sleeth was working, Sleeth had no way of knowing the same man would return four days later, rob her and beat her. 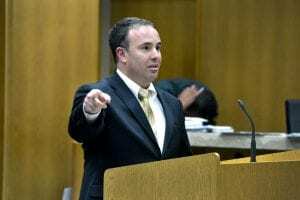 Assistant State Attorney Steven Alamia points to evidence during closing statements Thursday. The jury deliberated for an hour and a half before coming back with a guilty verdict. 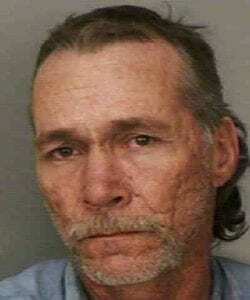 Chance, 55, faces life in prison after a jury found him guilty Thursday of burglary with an assault, robbery, kidnapping to facilitate a felony, aggravated battery and burglary. Assistant State Attorney Steven Alamia showed the jury surveillance video of Chance walking into the store Sept. 16, 2014, where he took money out of the register and beat the victim with his fists. Chance tied her up, gagged her and left her in the store while he stole her keys out of her purse and drove off in her car. 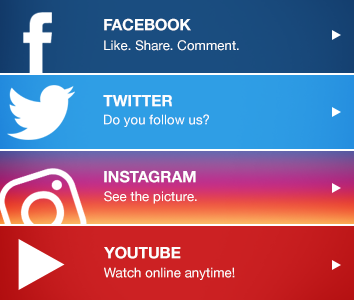 In addition to the video, the 911 call was played. The victim identified Chance as her attacker shortly after the incident. She had a stroke about a year later, which led to her death. 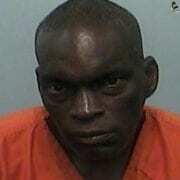 Law enforcement began tracking Chance’s cell phone and located him driving up Interstate-75 in the victim’s vehicle. When officers stopped the car, they found the phone they’d been tracking, the backpack Chance wore in the surveillance video and – laid out on the seat – the shirt and shorts that he was wearing. But Alamia said one of the most significant facts of the case was that Chance’s cell phone pings within a mile of the store at the time of the crime. “He’s the one who did all that, and the state has proven it beyond a reasonable doubt,” he said. It only took the jury an hour and a half to come back with a guilty verdict. Chance will be sentenced on Sept. 14. 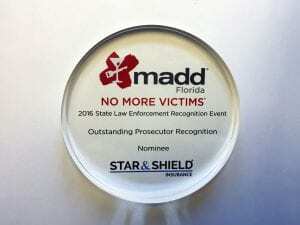 FORT LAUDERDALE – Assistant State Attorney Randi Daugustinis was recognized at the Mothers Against Drunk Driving (MADD) 2016 Statewide Law Enforcement Recognition Friday in Fort Lauderdale. Polk County Sheriff’s Office deputies nominated her for the “Outstanding Prosecutor Recognition” award for her work prosecuting DUI cases. 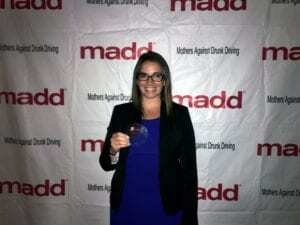 Daugustinis was recognized for her work with DUI cases at MADD’s Statewide Law Enforcement Recognition dinner Friday. 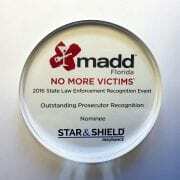 She was one of 13 prosecutors recognized from across the state of Florida. PCSO Sgt. Scott Maginn’s MADD nomination letter said that in 2015 Daugustinis was a lead prosecutor in Polk County, prosecuting and convicting DUI offenders. Of the five cases Daugustinis took to trial, all received guilty verdicts. “This was due to her extensive preparation and knowledge of DUI procedures,” Maginn wrote. Assistant State Attorney Randi Daugustinis, left, and Deputy Ronald Brackley pose for a photo with their awards at the MADD Statewide Law Enforcement Recognition dinner in Fort Lauderdale Friday evening. Brackley was one of the deputies who nominated Daugustinis for her award. 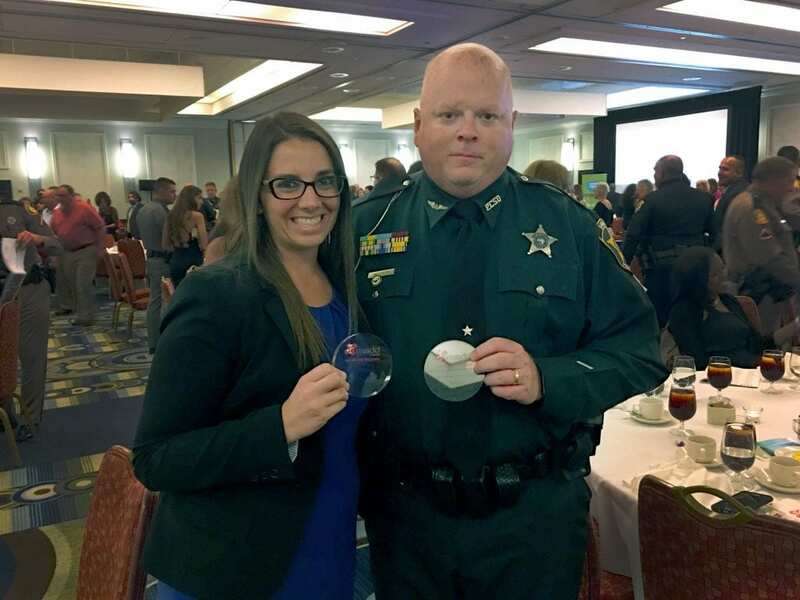 PCSO Deputy Ronald Brackley, who was nominated for MADD’s Law Enforcement Officer of the Year, was one of the officers who nominated Daugustinis for her award. She said Brackley taught her everything there is to know about drug DUIs and is responsible for a lot of her training. In Brackley’s nomination letter, he told MADD Daugustinis sets the bar for prosecuting DUI cases, and attorneys should attempt to match her dedication to investigations and courtroom preparation. He said deputies know that when Daugustinis is the attorney handling their cases, they have nothing to be worried about in the courtroom. Randi Daugustinis poses with her award after the 2016 Statewide Law Encorcement Recognition. She was one of 13 prosecutors from across the state of Florida. Daugustinis said it was an honor for her to be recognized Friday alongside so many officers and attorneys she looks up to. Attending the MADD recognition dinner and listening to victims’ families tell stories about their lost loved ones brought her to tears multiple times, but she said, it only confirmed why she’s so passionate about prosecuting DUIs.